Great adventure for someone who wants a taste of vietnam. Our guide Manh went above and beyond making sure we got the best of everything. Vietnam snapshot tour was absolutely amazing our guide Manh Nguyen was fabulous he went above and beyond to make sure we all had the best adventure, best food and best experience ever. It’s been more than 36 years since our first small group set out to discover Nepal. It’s this heritage and our reputation that keeps travellers coming back time and time again. We appeal to the well-travelled, discerning traveller. The one who chooses value over price, and wants to immerse themselves in a place instead of just ticking landmarks off a bucket list. The type of person who would rather stay in a family run B&B built in a 16th century Venetian convent than a forgettable hotel. We’re for travellers who want inclusions along the way instead of fiddling around for loose change. Almost 20 years ago, Peregrine led an industry revolution by solely employing locally born leaders. This innovative approach gives our travellers a deeper insight into the countries they visit. Doorways are opened and a true understanding of the place is fostered. 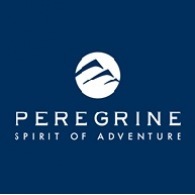 At Peregrine, we travel in intimate groups and take the time to get under the skin of a destination. Of course we all want to see the Taj Mahal in India. But imagine then heading to a remote Rajasthani village and learning about rural life while in the company of locals. Seeing the famous sites is a must, but it’s often the memory of wandering through a small village or sharing dinner with a local family that will leave a lasting impact.